Yes, parents still do have an influence on their teens. The day has arrived when many are getting ready to bring in the new year and have plans to do it in their own way. Many include alcohol a way to celebrate, and as although underage drinking is illegal, it is a fact many teens will be drinking. As a parent, what can you do? Communication is always key, reminding them of the dangers of drinking and driving and the fact that buzzed driving is drunk driving. Parents may want to be in denial that their teen would consume alcohol or other substances that impair them, but remember, never say never. Always be proactive, never stop talking about it. According to MADD (Mothers Against Drunk Driving) someone is killed in a drunk driving crash every 50 minutes; someone is injured almost every minute. Join them on Facebook and follow them on Twitter. FACT: Drivers 15 to 20 years old have nearly 20-percent more fatal car crashes than any other age group. Communication can never stop, even when your teen is tired of hearing of it, never stop. Unfortunately it only takes one tragic accident to wake-up a teenager to realize that drunk driving or buzzed driving can kill and all the lives will be changed forever. Happy 2011, end 2010 on a safe and healthy note! What an important message for this time of the year, and truly, all year round. 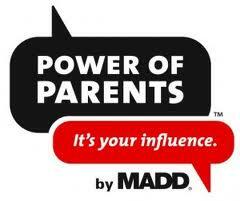 Take the time to be an educated parent, have safer teens and potentially save a life. Did you know that in 2008, nearly 12,000 drivers or motorcycle riders died in alcohol-related crashes? That’s one person every 40 minutes. Many people are under the misconception that you would have to be “falling down drunk” to be too impaired to drive safely. That couldn’t be further from the truth. Last year alone, during the winter holiday season, 420 people were killed in alcohol-related crashes. You can’t help but wonder if those lives could have been saved if people thought twice before getting behind the wheel. With the holidays approaching, it’s important that drivers be reminded about the dangers of buzzed driving. Who knows, it could save a life. During the holiday season help keep “buzzed” drivers off the road. 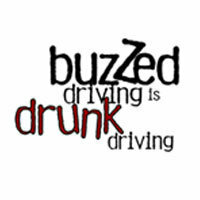 Learn about the dangers of buzzed driving, share a story or experience you might have had with buzzed driving and follow them on Twitter http://twitter.com/buzzeddriving) and Facebook (http://www.facebook.com/buzzeddrivingisdrunkdriving) to get the latest updates and news from NHTSA. You can also visit the website (http://buzzeddriving.adcouncil.org/) where readers can sign a pledge not to drive buzzed, play an interactive game to help them understand how drinking can impair driving, and hear personal stories from people who have driven buzzed. WATCH 30 SECOND PSA VIDEO – CLICK HERE. Be an educated parent – have a safer teen and holiday season.